Fun Kids has eight channels dedicated to top content featuring our presenters, brand partners, celebrity guests as well as educational series. We can create bespoke content that integrates your brand with our YouTube channels and individual video content bespoke for a brand. 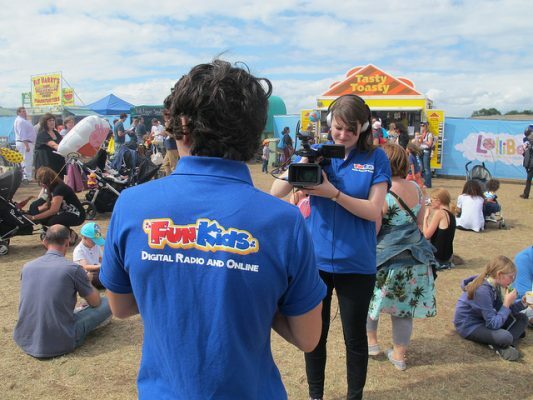 We can talk them up on-air and provide a promoted page on funkidslive.com with further information and click thrus to brand websites. The station’s main YouTube channel featuring interviews and adventures from the Fun Kids team and our partners. Our Breakfast presenter Sean’s gaming channel – N60Sean – generates 2 Million views a month with 60,000 subscribers. Sean plays Minecraft, Lego Worlds, WWE2K17 and creates video work throughs, battles and features new gaming products. Fun Kids presenter Bex has a channel that focusses on book reviews and features author interviews. Presenter Dan gives everyone the latest sporting news and reviews. Fun Kids can create bespoke unboxing videos for product launches. Working with partners as diverse as the British Heart Foundation, the Institute of Engineering and Technology and the government’s Intellectual Property Office, these videos are based on a series of topics. Professor Hallux is our in-house medical expert, assisted by Nurse Nanobot. In these videos Hallux explores the human body! Taken from our Learn series, How Does It Works is made up of videos that answers that question! Breakfast presenter Sean created a Yo-Kai walk-through which acted as a tutorial. This introduced the audience to the world of Yo-Kai, demonstrated the play mode and explored in-game features. This was part of a wider campaign on Fun kids, where we were giving Kids the chance draw their favourite Yo-Kai characters, with the winners going on display at an exclusive HYPER JAPAN event. We partnered with Guinness World Records, taking on a series of challenges, attempting to set our very own world record. This was in partnership to promote the latest Guinness World Record book.